This Notice Describes How Your Protected Healthcare Information (Phi) May Be Used And Disclosed And How You Can Get Access To This Information. Maryland Recovery is committed to protecting the confidentiality of information about you as one or our clients. Protecting the confidentiality of your information, also known as protected health information (PHI), is specifically required by Federal law and regulations, including the Federal confidentiality provisions for alcohol and substance abuse records (42 U.S.C. § 290dd-2, 42 C.F.R. Part 2), the general Federal privacy and security law known as the Health Insurance Portability and Accountability Act (HIPAA) (42 U.S.C. § 1320d et seq., 45 C.F.R. Parts 160 and 164), and State privacy laws. 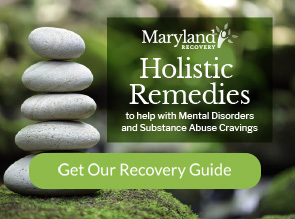 For instance, Maryland Recovery is prohibited, with very few exceptions, from informing anyone outside of our program that you are in treatment with us or disclosing any information that identifies you as a person with this medical condition. Maryland Recovery is required by law to provide you with this Notice of Privacy Practices and to abide by its terms. A violation of the applicable laws or regulations may be a crime. If you suspect a violation you may file a report as set forth under “Complaints” below. We reserve the right to change the terms of our Notice of Privacy Practices at any time. Any new Notice of Privacy Practices will be effective for all PHI that we maintain at that time. We will make available a revised Notice of Privacy Practices by posting a copy on our website marylandrecovery.com sending a copy to you in the mail upon request or providing one to you upon request. Listed below are examples of the uses and disclosures that Maryland Recovery may make of your protected health information. In a number of cases, we will get your consent (authorization) for a use or disclosure of PHI. These examples are not meant to be exhaustive. Rather, they describe types of uses and disclosures that may be made. For Treatment. Your PHI may be used and disclosed by your physician, counselor, program staff and others outside of our program that are involved in your care for the purpose of providing, coordinating or managing your health care treatment and any related services with your written authorization. This includes coordination or management of your health care with a third party, consultation with other health care providers or referral to another provider for health care treatment. For example, your protected health information may be provided to the state agency that referred you to our program to ensure that you are participating in treatment. In addition, we may disclose your protected health information from time-to-time to another physician or health care provider (e.g., a specialist or laboratory) who, at the request of the program, becomes involved in your care. When applicable, we may disclose your PHI for treatment purposes without your authorization to third parties known as QSO/BAs (see discussion below). To Obtain Payment For Services. Maryland Recovery will use and disclose your PHI to obtain payment for your health care services with your written authorization (except in limited circumstances). Examples of payment-related activities are: making a determination of eligibility or coverage for insurance benefits, processing claims with your insurance company, reviewing services provided to you to determine medical necessity or undertaking utilization review activities. Maryland Recovery may condition your treatment on the receipt of written permission to disclose your PHI for payment purposes. When applicable, we may disclose your PHI for payment purposes without your authorization to third parties known as QSO/BAs (see discussion below). For Healthcare Operations. We may use your PHI, as needed, within Maryland Recovery in order to support the business activities of our program including, but not limited to, quality assessment activities, employee review activities, training of students, licensing and conducting or arranging for other business activities. We may share your PHI with third parties known as QSO/BAs (see below) that perform various business activities (e.g., billing or typing services) for Maryland Recovery, provided we have a written contract with the QSO/BA. We may use a sign-in sheet in the waiting area where you will be asked to sign your name and indicate your physician or counselor. We may also call you by name in that general area when it is time to be seen. Pursuant to an Agreement with a Qualified Service Organization/Business Associate (“QSO/BA”). We may enter into a contract with a third-party QSO/BA to provide services to Maryland Recovery. Examples of these services include data processing, bill collecting, dosage preparation, laboratory analysis, or legal, medical, accounting and professional services. The QSO/BA may access your PHI but only to fulfill the QSO/BA’s function, and may not disclose your PHI. As Required By Law. We may use or disclose your PHI to the extent that the use or disclosure is required by law, is limited to the relevant requirements of the law, and is permitted under the privacy laws applicable to Maryland Recovery. In addition, we must make disclosures to the Secretary of the Department of Health and Human Services for the purpose of investigating or determining our compliance with applicable law. For Audits and Investigations. We may disclose PHI to a health oversight agency for activities authorized by law, such as audits, investigations, and inspections. Oversight agencies seeking this information include public and private agencies and organizations that provide financial assistance to the program (such as third-party payers), regulatory agencies, and peer review organizations performing utilization and quality control. If we disclose PHI to a health oversight agency, we will have an agreement in place that requires the agency to safeguard the privacy of your information. In Medical Emergencies. We may use or disclose your protected health information in a medical emergency situation to medical personnel only. Our staff will try to notify you of the disclosure as soon as reasonably practicable after the resolution of the emergency. For Deceased Patients. We may disclose PHI regarding deceased clients for the purpose of determining the cause of death, in connection with laws requiring the collection of death or other vital statistics, or permitting inquiry into the cause of death. For Research Purposes. We may disclose PHI to researchers if: (a) an Institutional Review Board reviews and approves the research and a waiver to the authorization requirement; (b) the researchers establish protocols to ensure the privacy of your PHI; (c) the researchers agree to maintain the security of your PHI in accordance with applicable laws and regulations; and (d) the researchers agree not to re-disclose your protected health information except back to Maryland Recovery. Other uses and disclosures of your PHI will be made only with your written authorization. You may revoke an authorization at any time, unless the program or its staff has taken an action in reliance on the authorization of the use or disclosure you permitted. You may inspect and obtain a copy of your PHI that is contained in a designated record set for as long as we maintain the record. A “designated record set” contains medical and billing records and any other records that the program uses for making decisions about you but does not include psychotherapy notes. Your request must be in writing. We may charge you a reasonable cost-based fee for the copies. We can deny you access to your PHI in certain circumstances. In some of those cases, you will have a right to appeal the denial of access. Please contact our Privacy Officer if you have questions about access to your medical record. You may request, in writing, that we amend your PHI that has been included in a designated record set. In certain cases, we may deny your request for an amendment. If we deny your request for amendment, you have the right to file a statement of disagreement with us. We may prepare a rebuttal to your statement and will provide you with a copy of it. Please contact the Maryland Recovery’s Privacy Officer if you have questions about amending your medical record. You may request an accounting of disclosures for a period of up to six years, excluding disclosures made to you, made for treatment purposes or made as a result of your authorization. We may charge you a reasonable fee if you request more than one accounting in any 12-month period. Please contact our Privacy Officer if you have questions about accounting of disclosures. You have the right to request added restrictions on disclosures and uses of your Protected Health Information. You have a right to request confidential communications. You have the right to request to receive confidential communications from us by alternative means or at an alternative location. Normally we will communicate with you through the phone numbers, postal address, and/or email addresses you provide. We will accommodate any reasonable request to communicate with you by alternative means or at an alternative location, but we may condition this accommodation by asking you for information regarding how payment will be handled or specification of an alternative address or other method of contact. We will not ask you why you are making the request. Please contact the Privacy Officer if you would like to make this request. If you believe we have violated your privacy rights, you may file a complaint in writing to us by notifying our Privacy Officer, Larry Stevens at 21 W. Courtland Street, Bel Air, MD (877) 762-3766 or e-mail at lstevens@marylandrecovery.com we will not retaliate against you for filing a complaint.